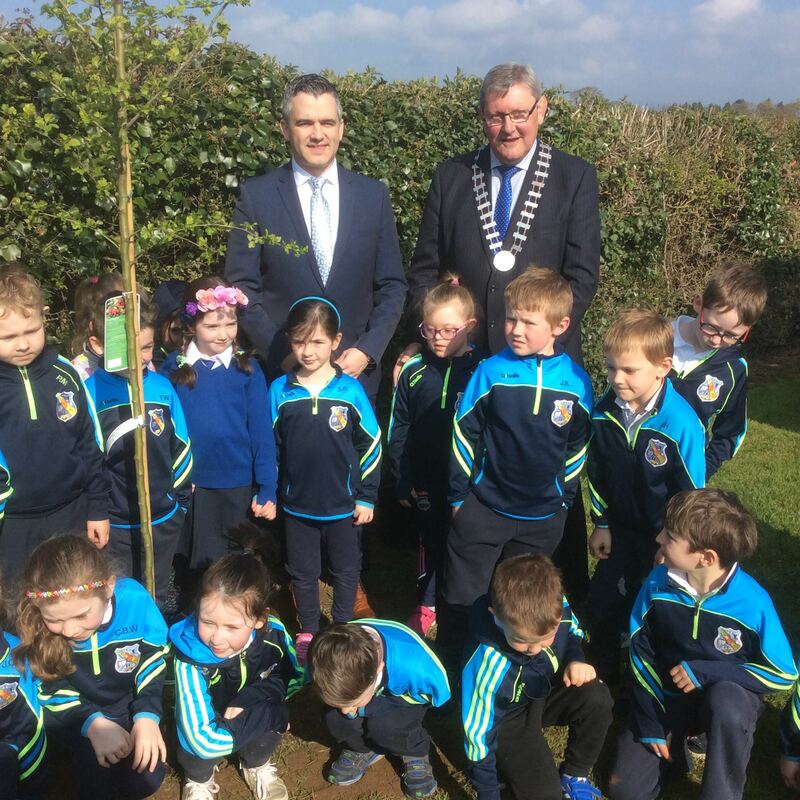 National Tree Week celebrated at Golden & Thomastown N.S. Councillor Fitzgerald explaining the value of trees for the Environment to pupils at Thomastown N.S. 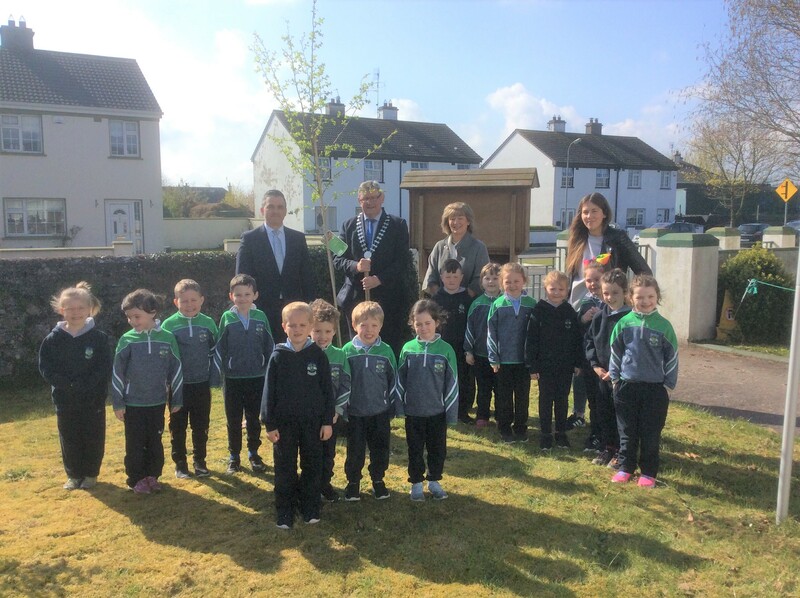 Garrett Ahearne & Councillor Michael FitzGerald in grounds of Golden & Thomastown N.S., Along with Ms. M. McGivern, District Administrator and pupils at Tree Planting ceremonies this week. 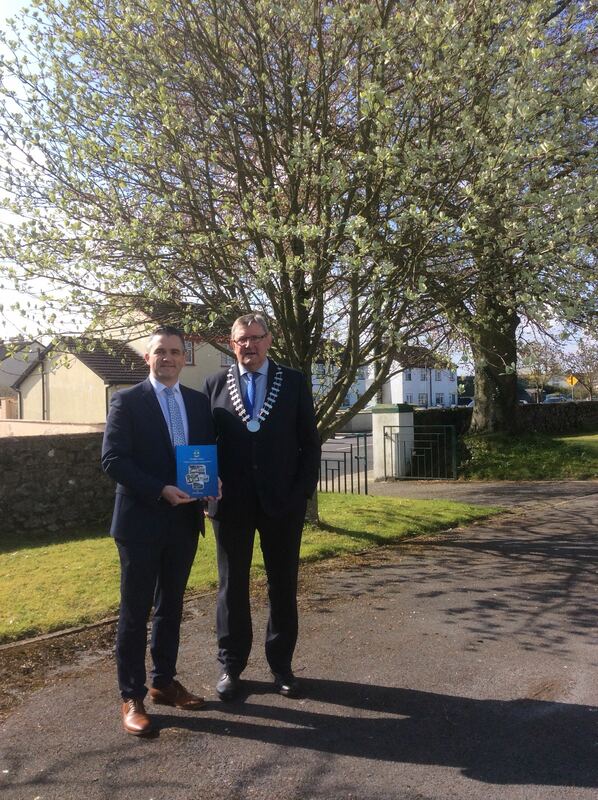 National Tree Week 2019 runs from March 31st – 7th April 2019. 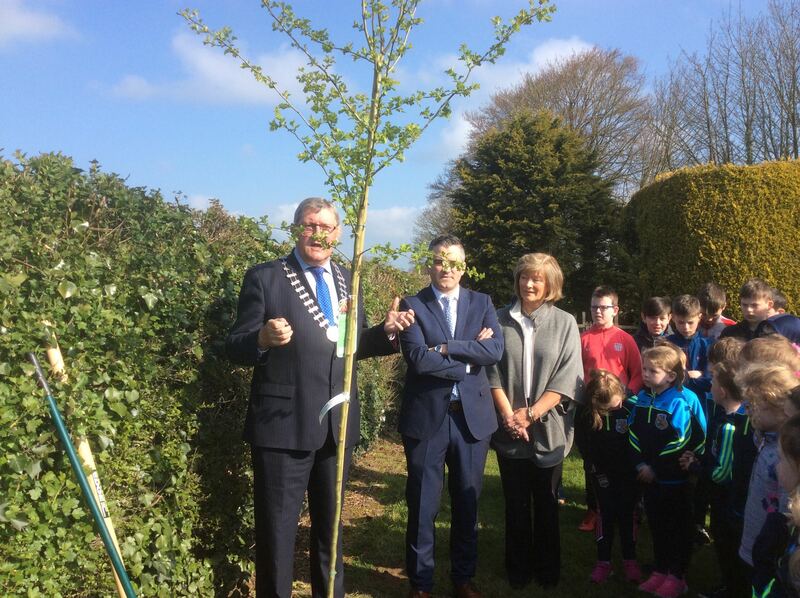 1350 trees have been distributed to Schools/Tidy Towns Groups/Development Associations by Environment Staff this week. As well as trees given out this week to groups, 150 boxes of wildflower seeds were also allocated to groups who requested same. Trees play a significant role in our climate change strategy by soaking up carbon emissions and through the sustainable wood resource they provide. Get involved in Planting for our Planet! Visit www.treecouncil.ie to find out more.